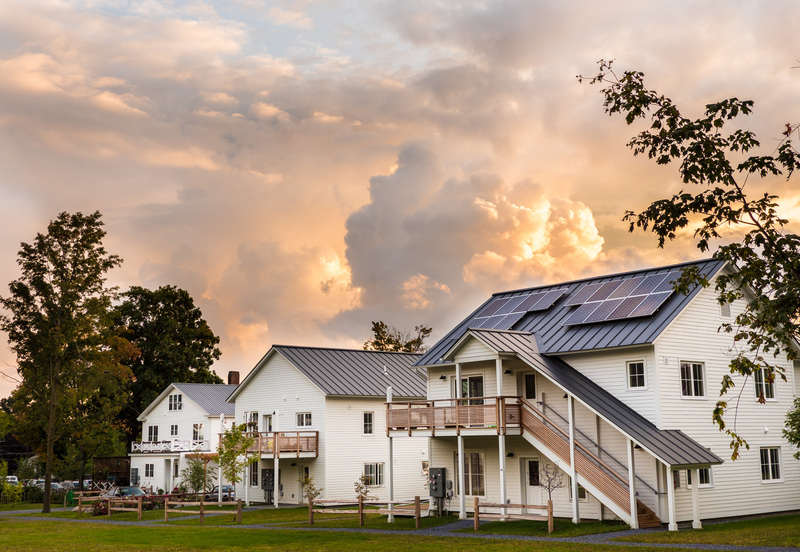 •	Located in the center of the village of Bristol, Vermont, 15 minutes from Middlebury College and 40 minutes from Burlington. •	Walking distance to shopping, restaurants, schools, library, town offices and performance space, public transportation and outdoor adventures. •	One two bedroom home still available for purchase. Contact us for details. •	Historic Italianate Common House was built in 1863. Received an award from Preservation Trust of Vermont for out contribution to the downtown streetscape. •	The homes are built to high performance energy efficiency standards.